We've Changed Our Name. But Not Our Passion. Companies change their names for various reasons, such as mergers and acquisitions, change of ownership, or responding to a transitioning industry landscape. Renaming a company can also serve to better reflect an organization’s core benefit, services, and value proposition; a change can bring the name into alignment with the company’s mission, culture, and philosophy. 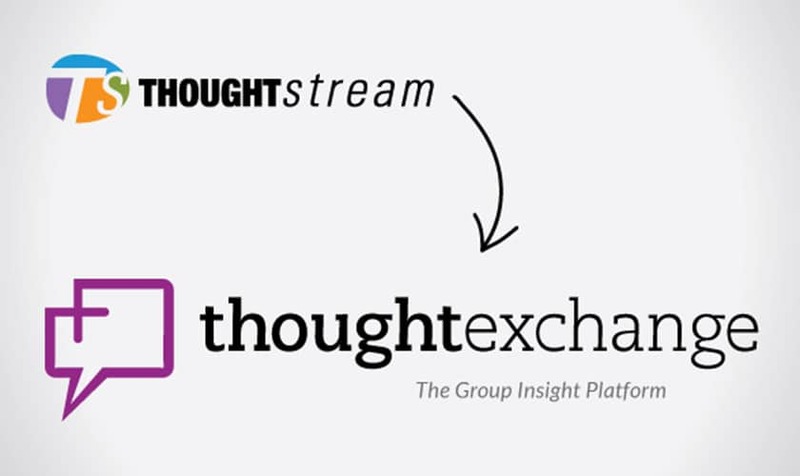 Thoughtstream™ recently changed its name to Thoughtexchange™. It may seem like a small difference, but the shift is a significant one – and denotes what sets us apart in the world of stakeholder engagement. This name change reflects our unique and inclusive way of capturing and exchanging thoughts about critical issues to discover what matters most to the community at-large. While traditional engagement tools such as surveys and Town Hall meetings can gather data, they do not provide participants a meaningful way to share their point of view, learn from one another, or gain insight into the issue at hand. Conversely, Thoughtexchange promotes collaborative leadership—with a mutually beneficial exchange of thoughts—enabling stakeholders to share their views, learn from each other, and participate fully throughout the decision-making process. Thoughtexchange is The Group Insight Platform™, and this reflects how we draw out key insights from the community, enabling leaders to make more informed decisions about critical issues. The Group Insight Platform helps school districts, organizations and companies move beyond the limitations of surveys and meetings to navigate complex issues such as strategic planning, border restructuring and facilities planning. This branding change emphasizes how The Group Insight Platform allows leaders to leverage shared insights, information exchange, and the cognitive diversity of the group to take action. Equipped with meaningful data, organizations can confidently effect change that builds trust and fosters stakeholder buy-in. Our rebranding efforts have helped us more accurately position Thoughtexchange—The Group Insight Platform—as a company that inspires greater insight for a greater good through inclusive stakeholder engagement and collaborative leadership. Jim is the co-Founder, President and COO of Thoughtexchange. Jim had 27 years of software engineering experience prior to founding Thoughtexchange, 15 of these years with product vision, architecture and management responsibilities. He has held positions with MacDonald Dettwiler, Creo Products and Kodak Graphic Communications. 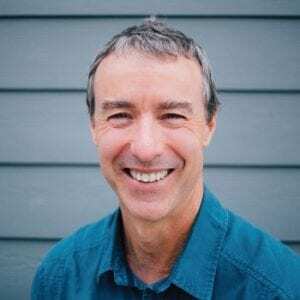 Since university, Jim has had parallel careers in outdoor education, mountain guiding and organizational development. Thoughtexchange combines his passions for software and people in a single product.